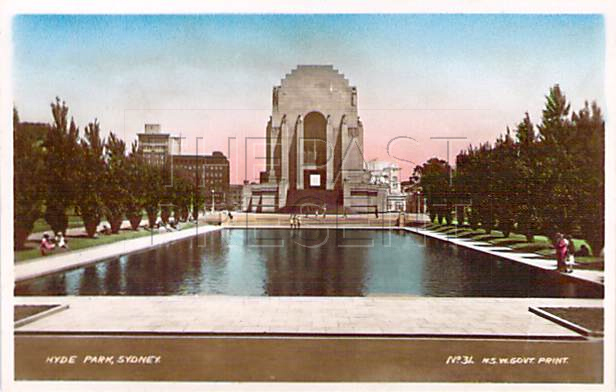 This photo of the War Memorial in Sydney’s Hyde Park, part of a set of Government Printed Tourist Photos dating from about 1940, really resonates with what we see of Hyde Park today. Most of us see Hyde Park as a peaceful, green sanctuary in our busy city. It is a place where people come to relax, taking time out from their hectic city lives to enjoy the tranquil beauty of this open, green space. It is a perfect escape from the concrete world of the CBD, with its massive, tree lined roads, the beautiful Archibald Fountain and tranquil War Memorial. Yet Hyde Park has not always been a place for rest and relaxation. In fact, it’s history reveals that the area started out life in quite a different capacity! 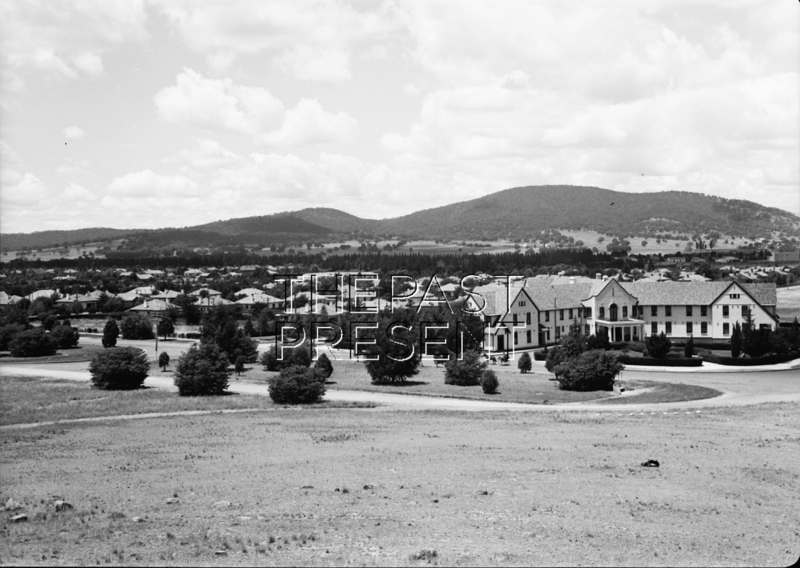 Over the next month, The Past Present will be featuring images of Hyde Park in the late 1800s and early 1900s. Come back next week to view the next installment in the series and find out a little more of the history of this favourite Sydney spot!